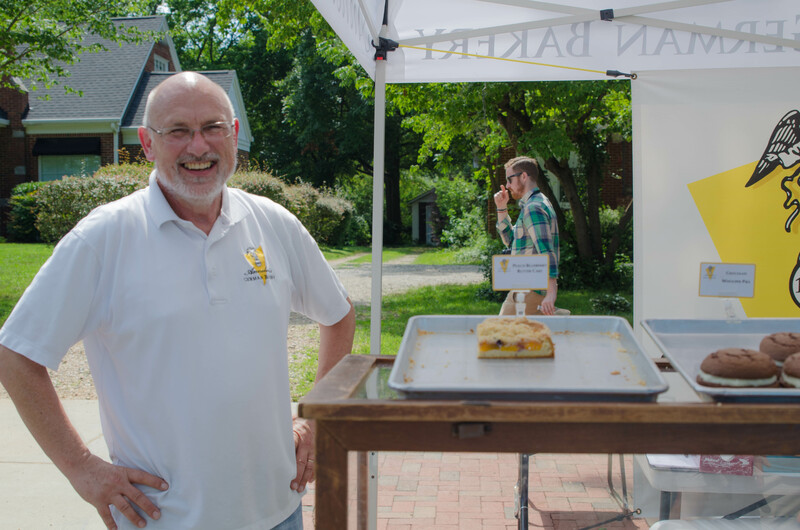 After escaping the rain on Saturday’s opening of the Cary downtown park, I ventured to the Downtown Chowdown on Sunday which featured twenty-nine food trucks and vendors. 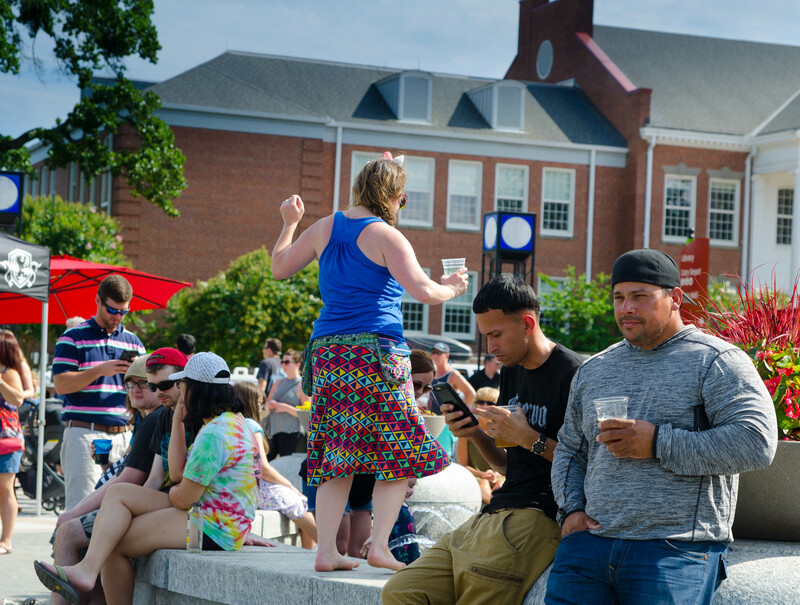 It was the perfect breezy day to sit out in front of the amphitheater, listen to music, and munch on some great food. 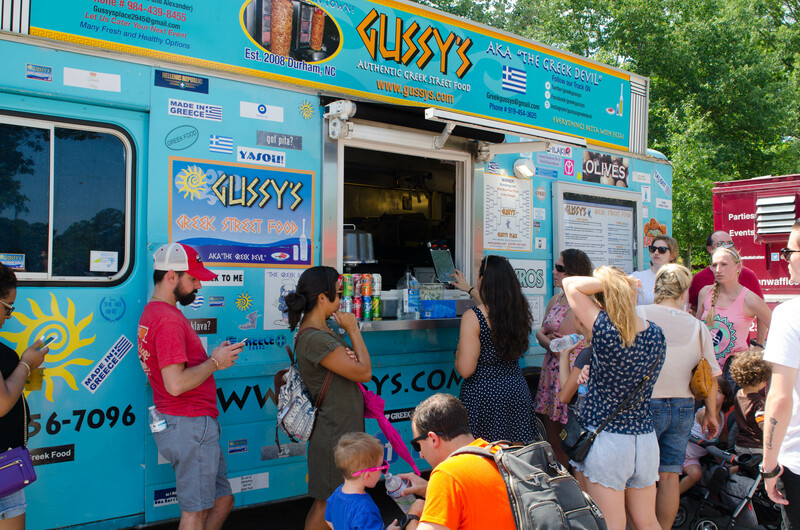 I started out with Gussy’s Authentic Greek Street Food. 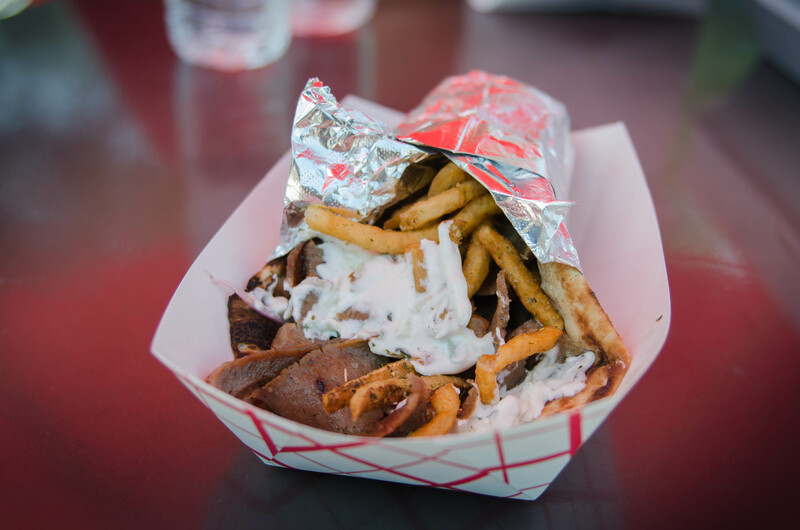 I actually waited in line for almost an hour for the popular beef and lamb gyro (with Greek fries inside), but it was well worth the wait. 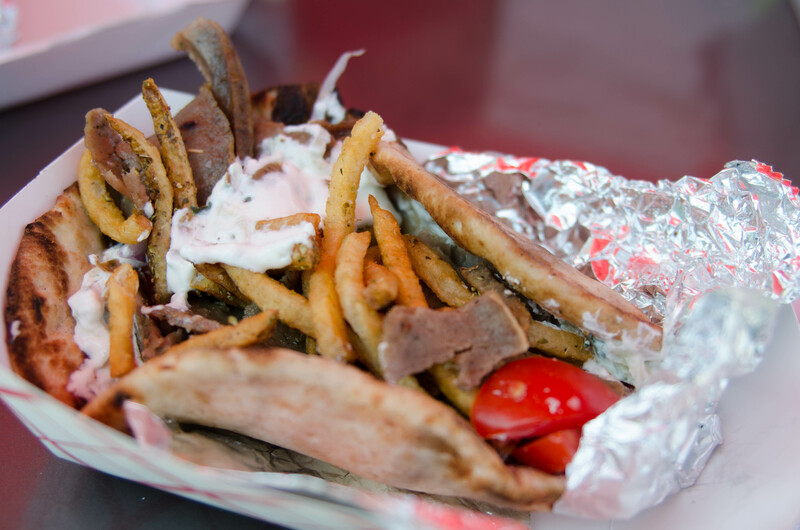 I enjoyed the crunchiness of the fries along with the smooth texture of the tzatziki sauce. The fries can be replaced with lettuce, but what’s the fun in that? 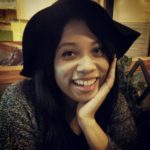 After my main course, I set out on a journey to find dessert. 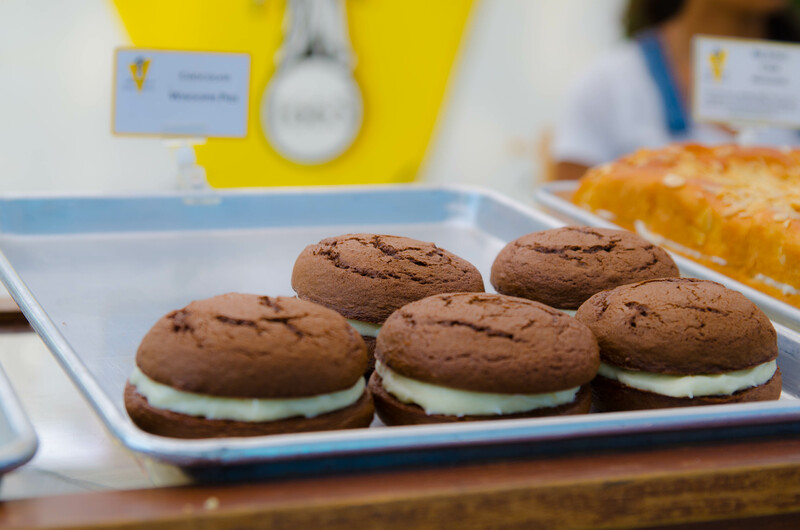 I finally stumbled upon Annelore’s German Bakery and my eyes were instantly glued to the sweet treats displayed on the table. 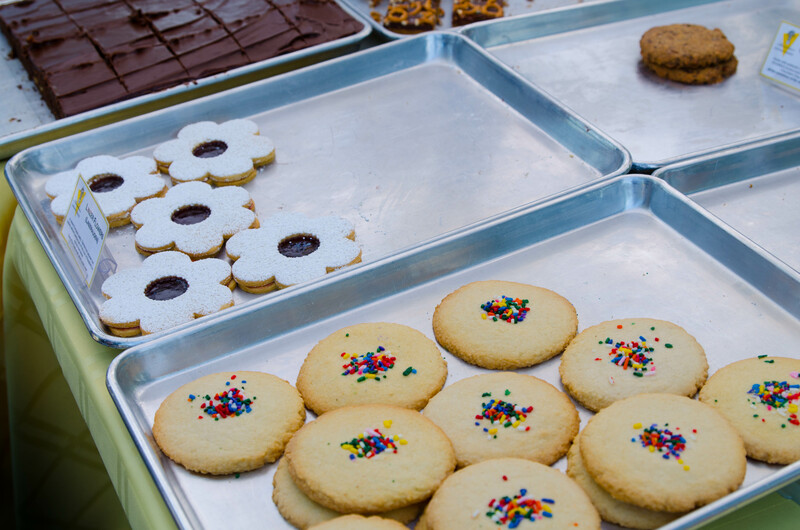 After restraining myself from buying everything on the table, I settled on a lemon square and a linzer flower. Both desserts were topped with powdered sugar, which meant that my clothes and face would probably be covered with the stuff afterwards. 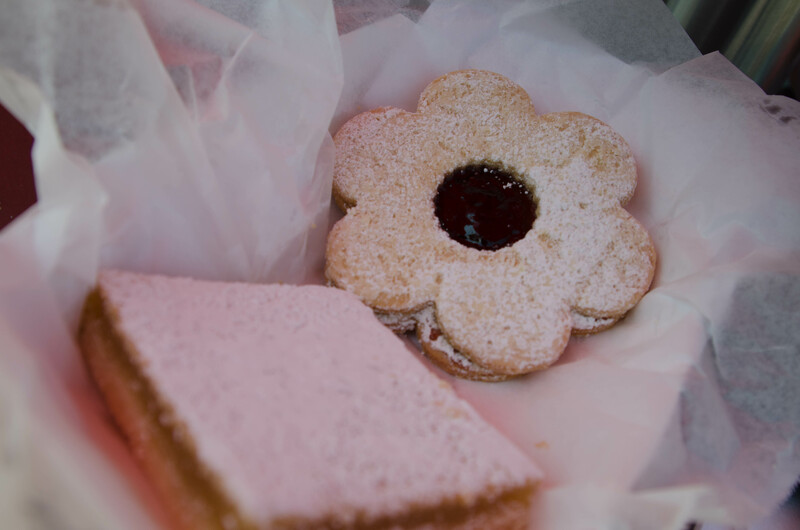 I decided to dig into the linzer flower first. The tart, berry filling complemented the sweet, soft-textured cookie. The lemon square was also deliciously sweet and tart. 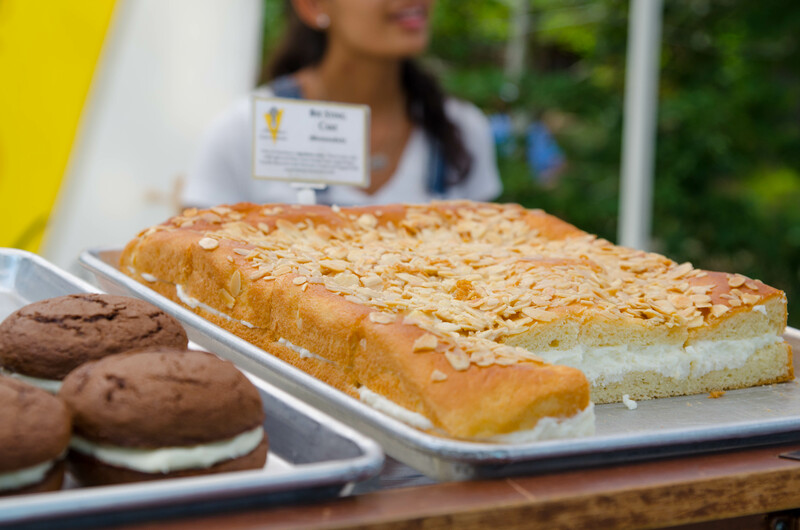 What I love most about eating lemon squares is the buttery bottom crust. This one definitely passed my taste test. 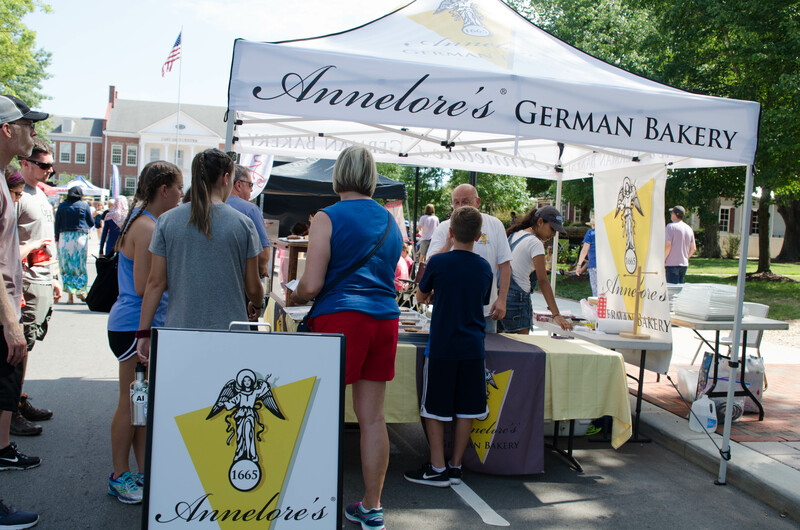 Annelore’s German Bakery is currently building a brick and mortar store in Downtown Cary and is set to open in September. I can’t wait to visit!